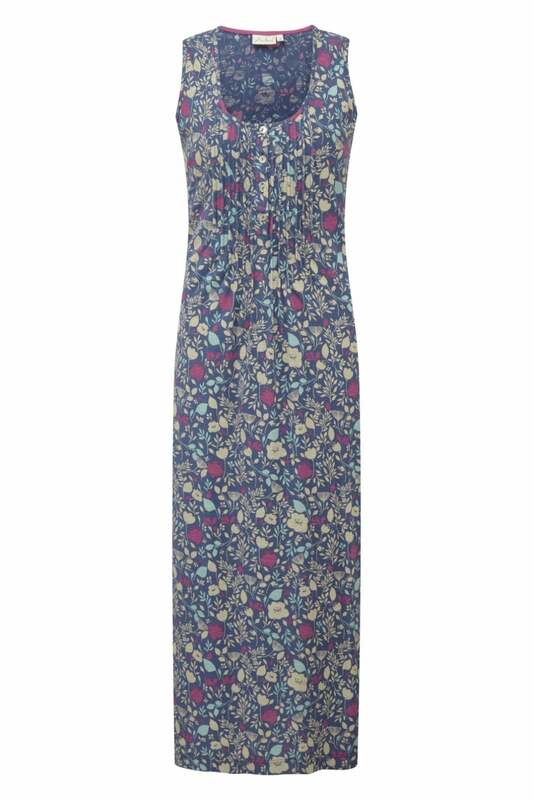 A gorgeous printed summer maxi dress from Adini. This maxi dress drapes beautifully over the body and it features pretty pintuck detailing on the yoke, front button fastenings and button detail on the back. Round neck, sleeveless and semi fitted with flared hem.